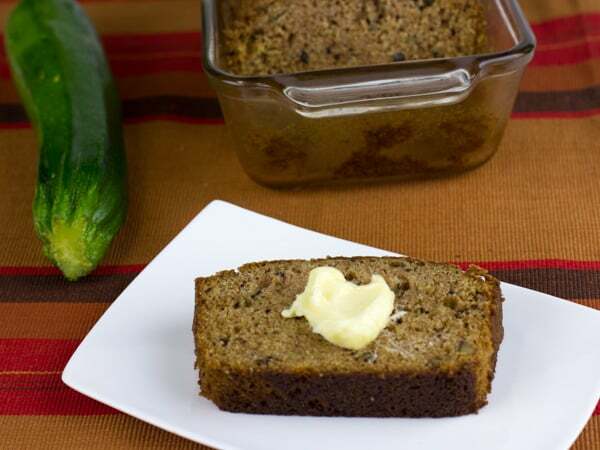 Cut 1 pound (425 g) of fresh zucchini into chunks. Chop on speed 5 for 7 seconds. Scrape down the sides of the bowl. Chop on speed 5 for another 7 seconds. Check and see that the zucchini is evenly chopped into fine bits. If not, chop again for a few more seconds. Add eggs, oil, vanilla and sugars. Mix on speed 4 for 20 seconds. Add remaining ingredients. Mix on speed 4 for 10 seconds. Scrape down the sides of the bowl and mix on speed 4 for another 10 seconds. Pour into 2 greased loaf pans and bake in a 325F oven for 60-75 minutes or until a toothpick comes out dry. Once the loaves are done, cool on wire racks for 30 minutes. After that, remove them from the loaf pans and allow them to cool completely.